An approach to design that tells your organization’s story, gets you noticed, and closes more business. Web design is evolving quickly. No longer can you afford to have a static web page that your nephew did represent your presence on the web. Nor can you afford to have some custom-coded platform that falls apart if your web design firm goes out of business. Our design process is different. These days you need a site that can change quickly with the times – and the search engines. We use open source tools that are the best in the industry. This means a content management system that you control, and that many people can support. And readily available tools that can be chosen wisely with your strategic objectives in mind. We take time to learn about your story, and how it relates to your customers and prospects. Who your customers are, and where they hang out in the virtual world is important too. With this in mind, we show you how to give your customers what they want, which in turn gets you what you want – more business. Contact us today for a free website consultation. AllSouth Insurance was in need of a new website that was innovative and refreshing. Insurance agencies in general deal with basically the same products and are frankly, well, boring. 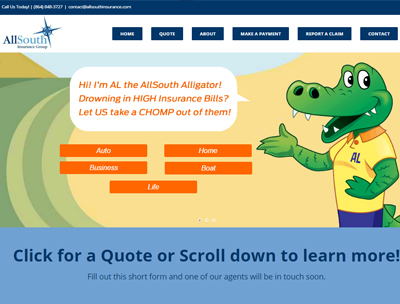 AllSouth hired us to redesign their site with separate interactive pages for different types of insurance quotes, but going a step further, we developed a new AWESOME mascot character named AL the AllSouth Alligator! From there we created new graphics so AL could pop up in different places on the website and also be added to t-shirts, signs, and other collateral, setting the AllSouth brand apart! 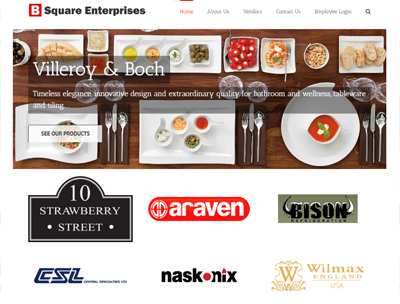 B-Square Enterprises is a manufacturer’s rep company that sells to any and everything related to restaurants to restaurant supply companies. With an ever growing product line, they needed a site that they could easily manage themselves that showcases all of the different product lines they represent. They hired us to create an easy-to-update site that solved their needs and helps their sales reps sell more products. We also created a hip new logo for them as well. When Package Concepts needed a new website to feature its innovative food packaging products, they chose Touchpoint to design it. 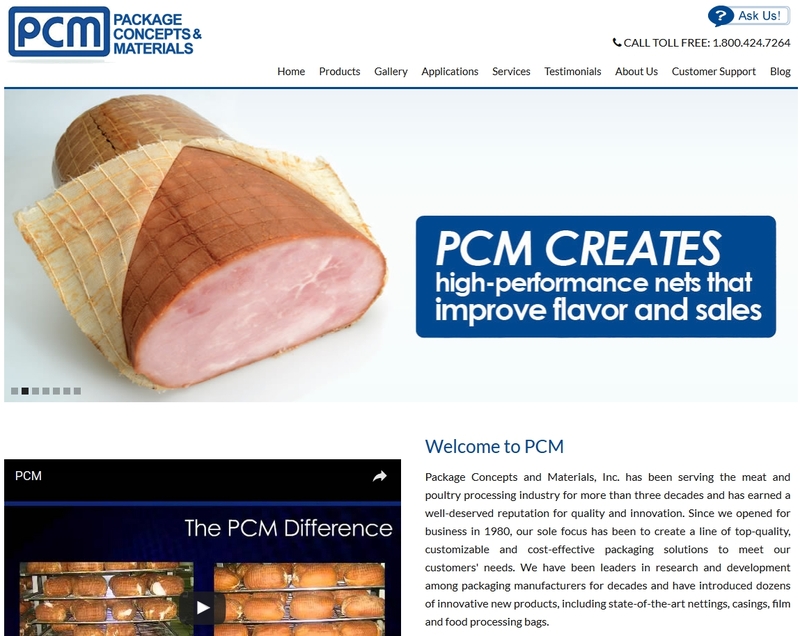 Complete with online video, product images, and featured product specifications, their new website showcases what PCM excels at. 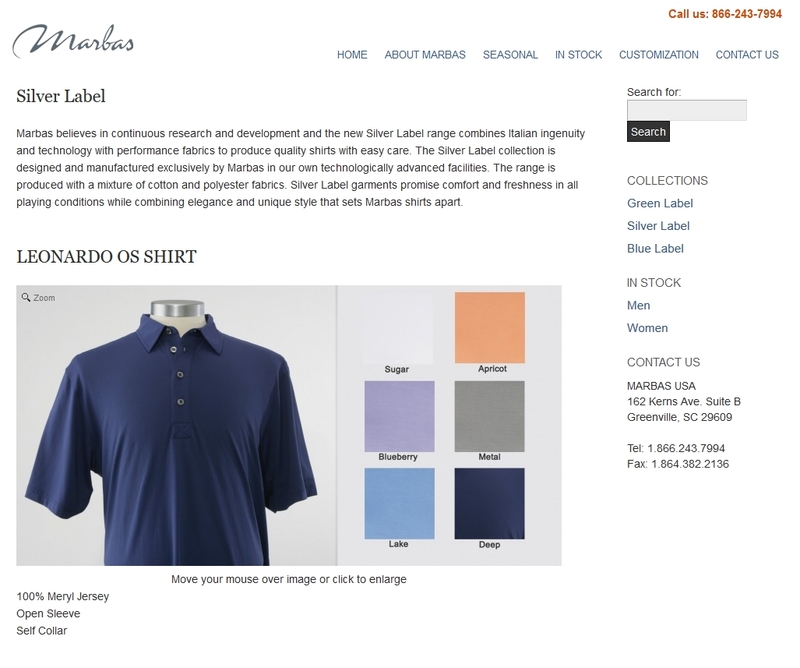 Marbas is an Italian maker of high-end knit shirts that are sold in golf pro-shops and luxury hotels and resorts. For this site, we actually did product shots of 48 different shirts with multiple fabric designs. The goal of the site was to allow product buyers from resorts and pro-shops to view all their merchandise online and make ordering selections quickly and easily. When Syd at Greenville Print Solutions approached us, he needed a website that would showcase his vast knowledge and experience in printing. 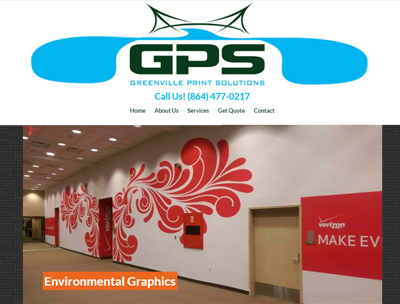 At GPS, they print everything from large flags, to billboards, to environmental wall graphics, to ad specialties… and everything in between. People also commented on his cool logo because it represents the suspended walking bridge in downtown Greenville, so he wanted to focus on that upon entering his site. We took care of Syd and we have him showing up on Google as well. How can we help you with your site?